It's been almost a year since the last vintage record cover that appeared on Papergreat, so we're definitely overdue for today's blast from the past. 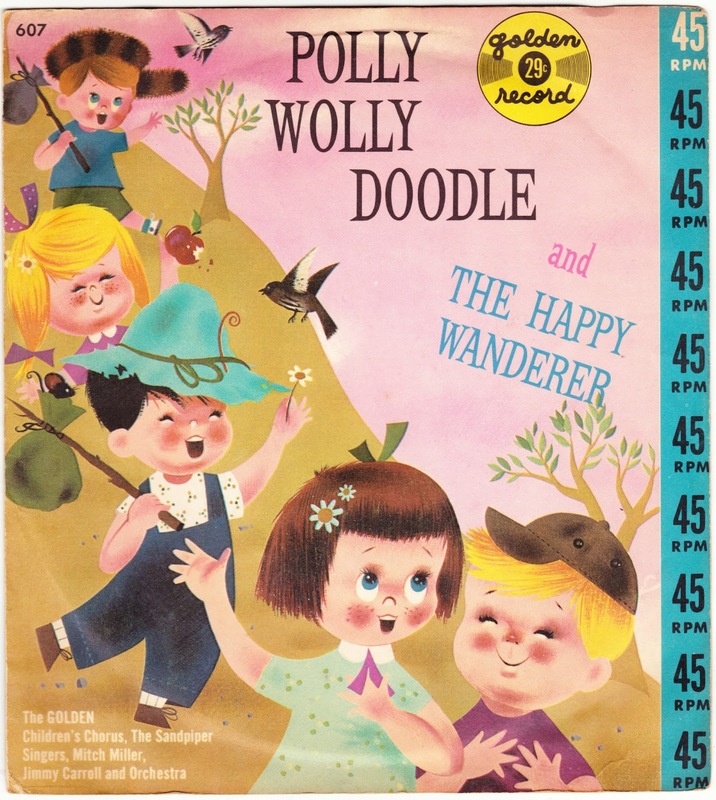 This is the 7-inch-wide paper sleeve for a mid-century Golden Record featuring the 19th century ditty "Polly Wolly Doodle" and "The Happy Wanderer." The songs are performed by "the GOLDEN Children's Chorus, The Sandpiper Singers, Mitch Miller, Jimmy Carroll and Orchestra." This is the 45 rpm version of the vinyl record. I see that there are numerous mentions online for a 78 rpm version that was also produced and sold. Produced by A.A. Records Inc.
Record manufactured by Bestway Products Inc.
Illustrations copyright 1959 by A.A. Records Inc. Indeed, I believe that this was published in either 1959 or 1960. Besides the copyright date for the cover illustration, there is a long list of other Golden Records that were available, and one of them features Huckleberry Hound, a Hanna-Barbera character that didn't debut until 1958. EP 562 ROCKET TO THE MOON! What are your Golden Records memories? Do you still have any of them and, if so, do you have a record player on which to play them? 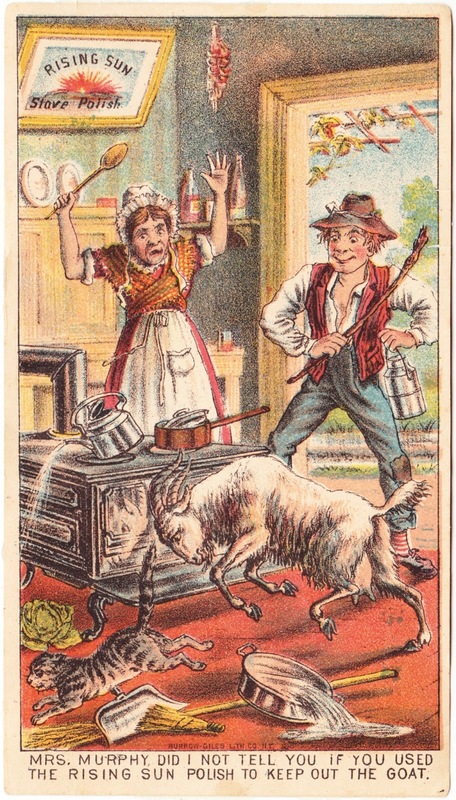 There's always a good laugh to be had from a goat that charges toward its reflection on a shiny oven. This has happened to everyone at least once, right? 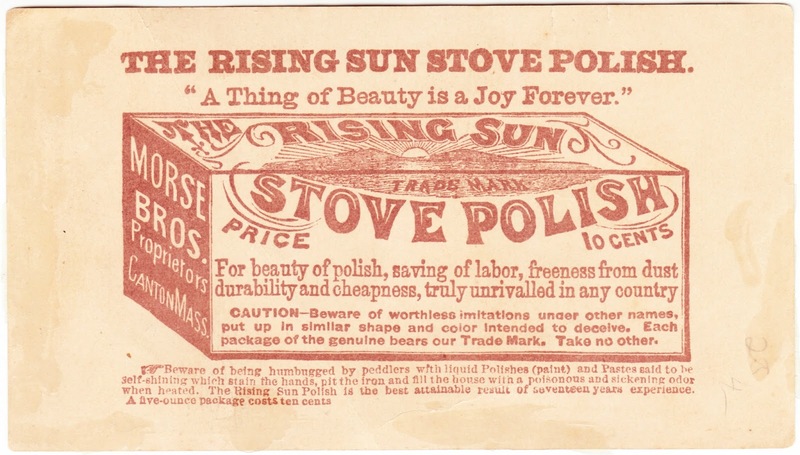 This old advertising card for Rising Sun Stove Polish measures 3¼ inches by 5¾ inches. 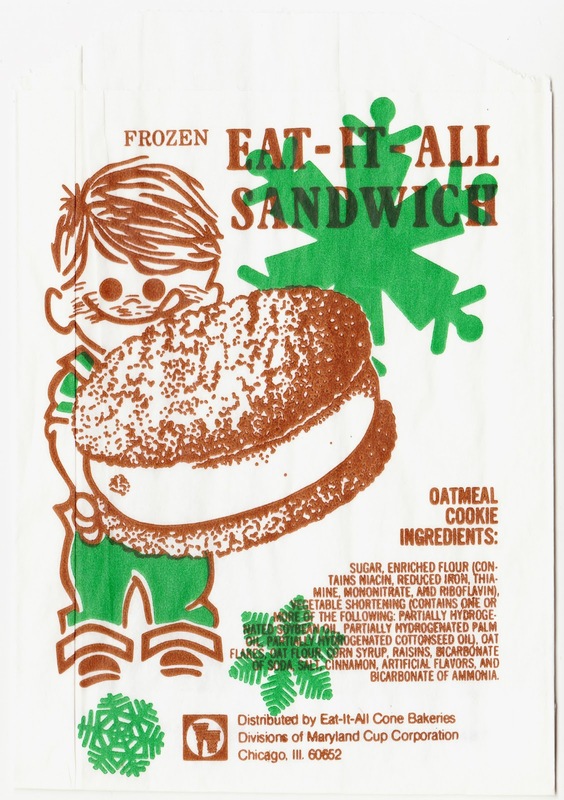 It's printed on flimsier paper than most advertising cards, but has held up fairly well over the decades. "Mrs. Murphy, did I not tell you if you used the Rising Sun Polish to keep that goat out." 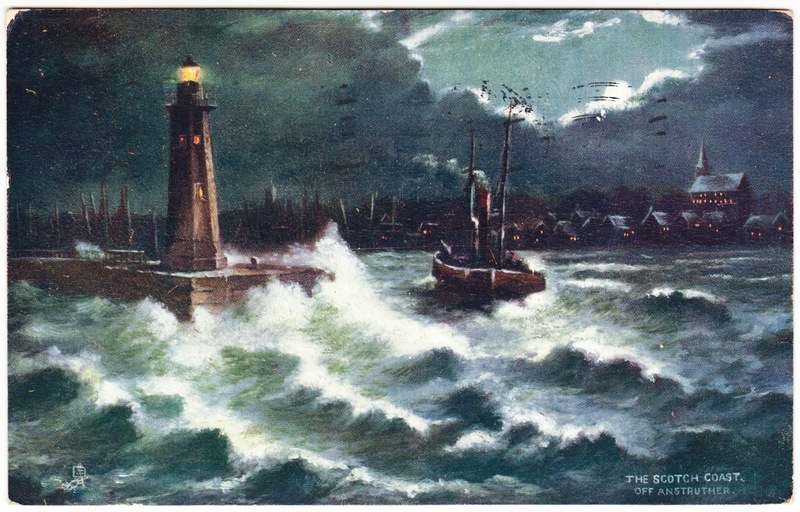 According to Digital Commonwealth, an archive of Massachusetts ephemera, this advertising card is circa 1870 to 1900. It was published by Burrow-Giles Lith. Co. of New York. "For beauty of polish, saving of labor, freeness from dust, durability and cheapness, truly unrivalled in any country"
"CAUTION — Beware of worthless imitations under other names, put up in similar shape and color intended to deceive." "Beware of being humbugged by peddlers with liquid Polishes (paint) and Pastes said to be self-shining which stain the hands, pit the iron and fill the house with a poisonous and sickening odor when heated. The Rising Sun Polish is the best attainable result of seventeen years experience. A five-ounce package costs ten cents." "The Rising Sun Stove Polish Company was started by Elijah Morse who after his service in the Civil War began selling stove polish door to door based upon a formula gained from a Harvard Chemistry Professor. Although Morse owned land on Depot Street in Sharon the town did not allow him to build a factory fearing it would interfere with Sharon’s image as a pastoral retreat from the city. Morse then rented space above Wentworth Market and by 1883 had built his own factory on Washington Street. Upon Morse’s death in 1896 the company was controlled by his sons who saw the demand for stove polish drop forcing the company to close by 1914." As a final fun note, The Painted Ad blog has a nice post about the discovery of a ghost sign for Rising Sun Stove Polish. 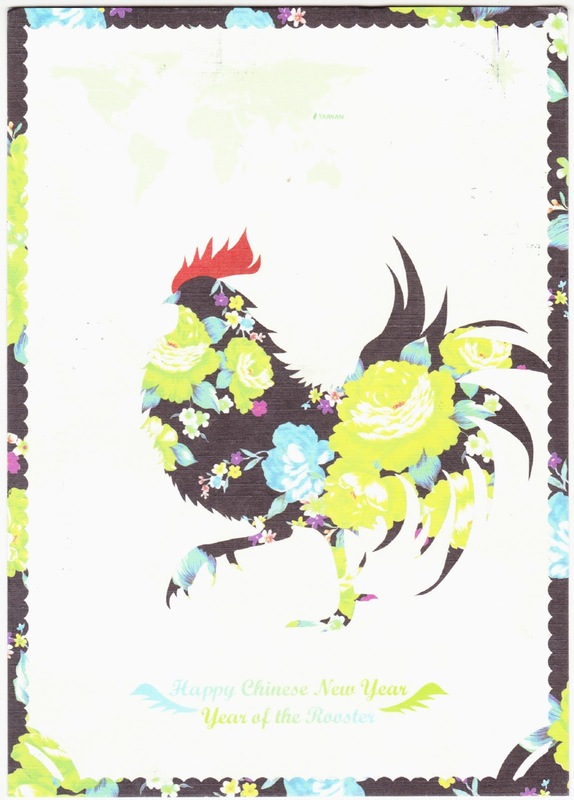 Sarah received this nifty Year of the Rooster postcard last week from her pen pal Christina, who lives in Taiwan. The two of them have been friends, through mail and email, since they were introduced to each other via Postcrossing, an international postcard exchange system, about 13 months ago. It's pretty cool that the two of them have gotten to know each other and exchange small gifts all thanks to the power of a postcard. Hello Chris,Thank you for the lovely Owl card and all the Stamps, Our Summer has finished. It rained all night last night and it was great to get up this morning and see all the Puddles. It was a nasty summer, a small town about 40ks away lost over 130 homes when a fire went through. I wish you good Health and Happiness. Hello! Or "zdravstvujte" in my language. thank you for a beautiful card and stamps. Yes, I love old movies, and Casablanca among my favorite movies) I also like Streetcar Named Desire, Rear Window, Waterloo Bridge, Roman Holiday and many others. Best wishes and happy postcrossing! Thank you very much for your card! The stamps are gorgeous! :) I also like reading books (I'm reading "Atlas Shrugged" by Ayn Rand these days). Hi Chris, Greetings from India. Thank you for your lovely card and stamps. Please say Hi! to your daughter, she is sure to grow up to be a great lady with a mother like you. Best wishes. Say hello to all your pets and have a wonderful day! Hello, Chris! Your card very beautiful, thank you. My favorite sport is basketball. I enjoy other sports, but it is basketball without which I cannot simply live. Hello Chris! Thank you for the card and nice stamp. Oh yes, I'm definitely kind to animals. I live in the countryside and I love nature and animals! I've pets and almost everyday white-tailed deers visits in our yard. Yesterday three cranes was eating in our field. Best wishes! Hello, thank you for a postcard. Your postcard is lovely. I'm Otylia. I am 10 years. I go to now primary school and learn English. I'm interested in music. I love cats ( i have two) and bocks. I am sending greetings from picturesque Krotoszyn. Hello Chris! Thanks so much for your Yellowstone postcard! It was a surprise to receive it today. I love the card and you have a nice penmanship. :) I love the outdoors too. I used to go hiking with friends but now we were all busy. Have a great day/night ahead! Hi Chris, Thank you for personal postcard of your pet cats ^.^ I don't have any pets but I play with the cats I come across if they let me. The stamp you used on the postcard is quite special! It's round shaped with the moon's image! So cool!! I've checked out your website ... and I saw that you're a Pescetarian, I am veganish. Been vegetarian all my life and now trying to go vegan. I enjoy reading too though I haven't touched a novel lately. Been reading manga. Dear Chris, many thanks for your lovely postcard from PA, USA! The pic on the card was super beautiful & I loved your message! Thanks for sharing this great piece of world with me. :o) I really enjoyed reading about your favorite things! I've noticed many US citizens love fall season (perhaps your summers are too hot and long? ); here in Finland almost no one likes fall, because it seems to last from October to April. Not with the beautiful foliage but with grey and gloomy days, chilly weather and faces without smiles. My favorite time of the year is definitely spring, as I love the sense of hope and rebirth it brings. Plus it makes motorcycling possible again, haha! I hope everything is fine in your life & you may enjoy this year 2016! Have the greatest autumn! Dear Chris, many thanks for your beautiful card and the many wonderful stamps. I have a little daughter aged 10 months and don´t travel a lot at the moment, but now postcrossing is my way of traveling. So many thanks for the little trip to autumn Pennsylvania. All the best. Hello Chris, thank you for the lovely card. Pumpkin time is here too. I like to cook and bake vegetarian pumpkin dishes, my favorite is the pumpkin Hokkaido. All the best to you, kind regards, Lenka. Hello Chris! Thank you very much for the spooky card and nice stamps! I really like them all! Don't turn into Baba Yaga. Best wishes from Russia! hi Chris, thanks for the Halloween card of you and Mr. Bill. I received the card after the event, but hoped you had a good one this year! 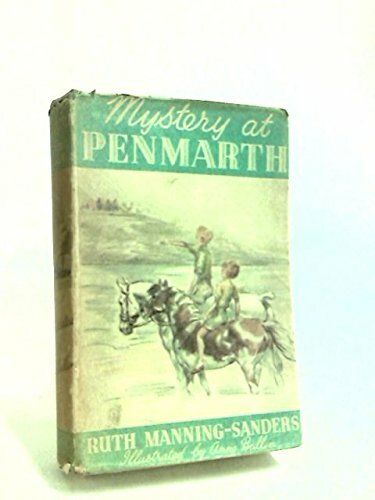 One of the most difficult acquisitions for my Ruth Manning-Sanders collection was a novel titled Mystery at Penmarth. I finally tracked down a reasonably priced copy of the American edition a few years ago. It's a former library copy (from the Granby Public Library in Granby, Connecticut) and the dust jacket was removed long ago, leaving just the green boards. A white "J" has been written on the spine, presumably meaning that it was shelved in the Juvenile section. Because this copy has no dust jacket and because the internet is not yet a repository of All Knowledge and All Images, I had never known what the cover of this book looked like. Until now. Someone added the above image to the book's listing on Amazon.com, and it's an absolute beauty. "Susanne Suba was born in Budapest, Hungary in 1913 to mother, May, and father, Miklos, who was a painter and architect. 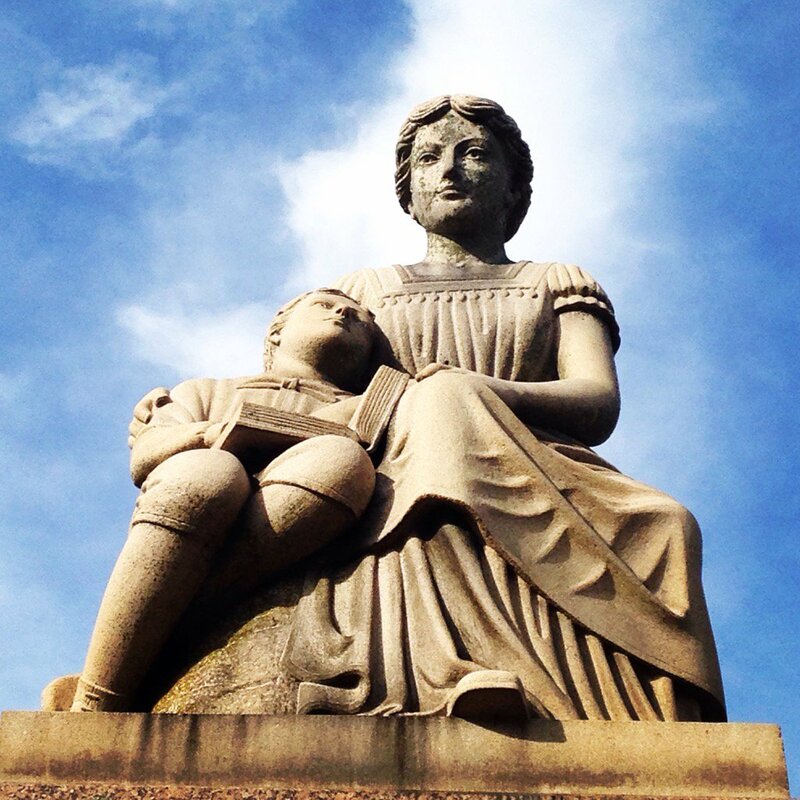 Her family emigrated to the United States and settled in Brooklyn when she was a young girl. After studying art at Pratt Institute in New York, Ms. Suba moved to Chicago to work as a book illustrator. She collaborated with various authors, including her husband Russell McCracken, and was a regular contributor to Publisher's Weekly and other publications throughout the years. As a freelance painter and illustrator, Ms. Suba had exhibitions at The Boston Museum, the Art Director's Club in both Chicago and New York, The Museum of Modern Art, The Brooklyn Museum and many other smaller venues." Suba died in 2012, according to this Ink Spill blog post. 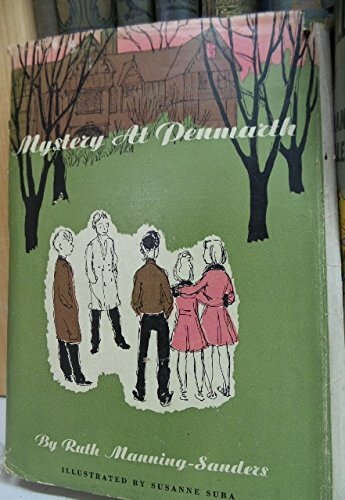 "A good mystery, credible enough and not too complicated, a good story, and nice writing -- so here is an answer to the incessant demand from ten up, for mysteries and yet more mysteries. This fits the upper bracket of this age group, and on up to fifteen. Four cousins go to spend the summer in an old Cornish village; they meet Sam Penmarth, a boy of their own age, living in a sinister, gloomy old mansion with an uncle who is an archeologist. They form a club -- they find a hidden room and a confession of an ancient crime. Lively ingenious youngsters, whom everyone will like, and a background of the days of smuggling as the setting for the crime." The four cousins who discovered that 'Adventure May Be Anywhere' in an earlier book by Mrs. Manning-Sanders literally unearth it again on an estate in Cornwall. Their new-found friend, Sam Penmarth, is heir to gloomy, old Penmarth House and he wants to know why no heir, for centuries, has ever left a son, but chiefly he wants to know what is locked up in the upper room of the north wing and what the servants are talking about as they mutter of an old curse and pirates and wreckers. "Thus is born one of those secret societies, so dear to the hearts of 10 and 12 year olds, devoted to unraveling the mystery. Their investigations coincide happily with Sam's scholarly uncle's excavation of a prehistoric burial mound on the estate, and this adds an unexpected twist to their own private mystery. Even though disaster accompanies their probing into an ancient drama of greed and murder, and though they never quite convince the grownups of the validity of their findings, the children have a wonderful time whipping up their sympathies for a long-dead little Penmarth. 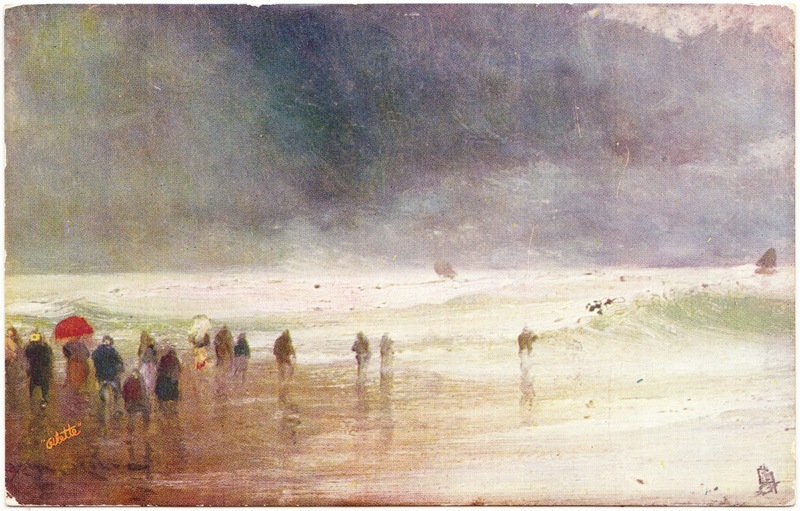 "They mystery is revealed too soon, so that there is a faint air of anticlimax about the latter half of the story, and one never gets to know Sally and Bang and Jimmy as well as in the earlier book, but the creepy atmosphere is well sustained, as is the sense of desperate earnestness with which the children go about their play, and any tale for entertainment as well written as this one deserves reading." I mentioned, very briefly, some of the fairy and folk tale imagery in Mystery at Penmarth in a post last August. I should also note that the young adventurers of this novel call their group S.U.M.P. — Society for the Unraveling of the Mystery at Penmarth. I think the S.U.M.P. kids would be quite at home alongside the kids of Stand By Me, and The Goonies and Stranger Things.